Did you hear about the Canadian couple who rode a tandem around New Zealand, worked at Apple Computer in Australia and farmed alpacas in Niagara? This year they want to rent and sell you a Pedego electric bike to tour the wineries, micro-breweries, galleries and restaurants of Prince Edward Country. “We think of our lives as an excellent adventure,” Gillian says. Gillian and Patrick (Bear) Maloney have opened a Pedego electric bicycle store just off the 46K Millennium Rail Trail in Prince Edward County, Ontario. You might remember reading about them last summer, when they opened a pop-up bike shop in Bloomfield, Ontario. Now they’ve settled into their permanent digs in the same village. 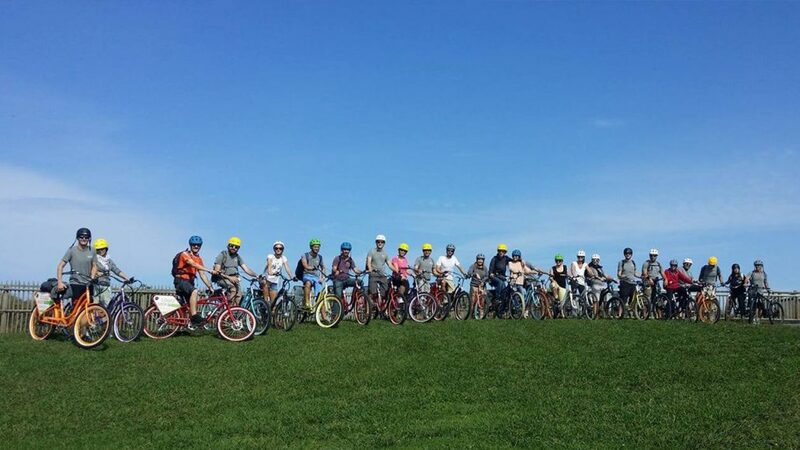 We dropped in to learn more about the owners of Pedego Prince Edward County. Patrick: I’m the volunteer chair of the Prince Edward County Trails committee. We’re resurfacing the old 46km rail trail, raising the money from the private sector to do it. I was pitching about the business and tourism opportunities and I drank my own Kool-Aid. We want our store to be an oasis on the Millennium Trail, the place to stop for bike repairs, coffee breaks, rentals etc. Gillian: We had been talking about retiring because we didn’t want to work in an office environment anymore. We’d had tech careers, working at various companies, including Apple, in Australia and Canada. In 2015, we purchased a small trailer and did a trip around Lake Ontario. I booked us into an upscale trailer park in Prince Edward County. As we drove and rode around The County we were just blown away by how lively it was with wineries, galleries, restaurants, brew pubs and cideries. Patrick: We used to come to Sandbanks Provincial Park in the ’80s with a bunch of friends and members of the Ontario Cycling Association. There has always been great camping and back roads cycling in Prince Edward County. With all the new wineries, B&Bs and vacation rentals the bike scene here is thriving. How did it go with your pop-up shop last year? Gillian: We found a temporary space where they were building a restaurant. We were able to open for three months from mid-July to about mid-October. The response was beyond our expectations. What kind of store is Pedego Prince Edward County? Gillian: It will be a comfortable place to hang out, with people who understand you to talk with and share stories. Patrick: We’re also hoping to be the main electric bike dealer in the County, to establish our rental fleet and make it one of the best ways to visit and enjoy all that Prince Edward County offers. An electric bike will take you anywhere you want to go in Prince Edward County and always bring you home. We laugh at the hills and the wind! 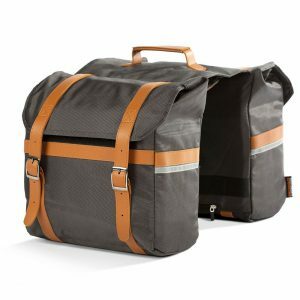 You’ve been cycling your entire married life. When did you first ride a Pedego? Gillian: A few months before we opened, we ordered our bikes from Mike Clyde (Pedego Canada’s owner). When they arrived, while the batteries were charging, I took off up the road on the bike itself and I thought “this is nice.” Then, when I put the battery in, it was “woah!” That was a completely different story. Patrick: There is so much to see in the county and an electric bike helps you see it without having to be a serious cyclist. The County is an island in Lake Ontario and there is a lot of wind. To protect farmland there are tree-lined backroads with not much traffic, rolling vineyards, orchards, dairies and historic canneries and barns. What we say is the electric bike will take you anywhere you want to go in The County and always bring you home. We laugh at the hills and the wind. What’s happened to your tandem bike? Patrick: We’ve owned three tandems. One was a Lejeune, which must still be in New Zealand as we sold it to a bike shop at the end of our 1980 tour. We still have our custom-built Mariposa tandem from Bicycle Sport, the store in Toronto where I worked in my twenties, although we haven’t ridden it much lately preferring our Pedego bikes. Gillian: Tandem cycling is great because Pat is a stronger cyclist than me. I’ve talked to other women who share that experience. A Pedego electric bike helps even out the differences. If Pedego Prince Edward County was an animal, what would it be? Gillian: An alpaca: beautiful, gentle, valuable and highly sought after. And very speedy when it wants to be! We used to have a farm in Niagara with 20 alpacas, and a farm store selling yarn and knitted goods. It was a warm and inviting place. We want our store in Prince Edward County to feel the same. Recently we asked Julie and Ruby, the owners of Pedego Qualicum Beach on Vancouver Island, why it is they love owning a Pedego store. They didn’t answer right away saying there were so many reasons that they wanted some time to think about it. A few hours later, Julie emailed us a 400-word document that was so well written and authentic we decided to share it with everyone else (with their permission of course). The main reason we love owning a Pedego store is our customers. They inspire us to make every day unique and fun. It’s always an event at our store when someone purchases an electric bicycle and I think it’s because of all the stories involved. There’s the lead up to why the person decided to look at an electric bike in the first place. Then there’s the test-riding experience and learning all about this new technology and sometimes that can play out over multiple visits, test riding various different bikes. People learn about the health benefits and the cost savings and the fact they don’t have to have a special license or special insurance. And then there’s the day of purchase when the customer is just so happy. That’s why we love what we do — we live for those grins. Of course, the stories don’t end there. I could go on and on about all the new friends we’ve made because people keep coming back and letting us know about how great their bikes are and inviting us to join them on rides. They also come back for their first free tune up, which is another opportunity for them to share about what’s going on with them and how their electric bike has impacted their lives. 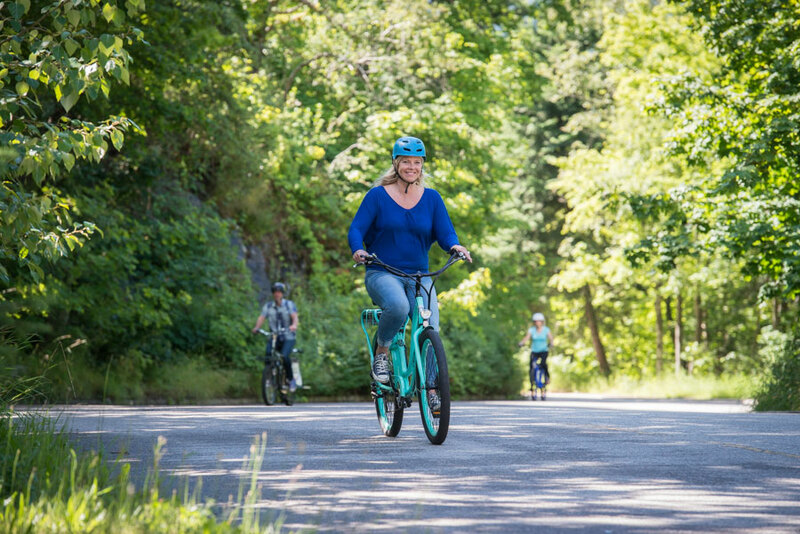 We’ve heard so many stories about people who had to stop biking because the hills were too steep for them and then they discover electric bikes and their world is transformed! There have been paper-delivery people, for example, who were about to give up their job because the weight of 100 newspapers was too much for them. We found them the right ebike or trike and they were on their way again. Then there are those couples who had to stop biking together because one person is recovering from or enduring, hip, knee, foot, heart or lung issues to name a few. One or two test rides on on an electric bike and, voila, they’re back out there. Of course, sometimes they get so keen to ride their partner has to get an ebike as well to keep up! Some people purchase an electric bike to use as their primary vehicle to get groceries home or ride to work. And some use it recreationally because there’s no better way to explore the area and surrounding islands. In fact, we’ve had people purchase ebikes so they don’t have to pay the high cost of bringing a car on the ferries, there’s always lots of room for bikes and they’re first on, first off. We also hear great things about our Financeit program, which allows people to pay for the purchase of their electric bike over the course of many months, giving them the freedom to get to school or work without worry about prohibitive overhead. And the program encourages people to shop locally and keep money in the economy here in our area north of Duncan on Vancouver Island. 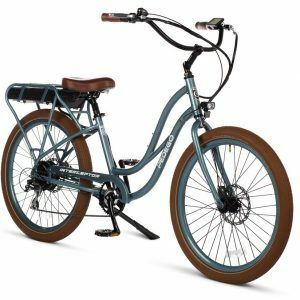 Finally, we we love owning a Pedego store because, like riding the electric bicycles, it’s just so fun!